Deciding on the best forklift training program for your company is about more than avoiding OSHA fines. The financial cost of forklift accidents include repairing damage to warehouse shelving and forklift vehicles, replacing damaged merchandise, company down time and increased insurance premiums. 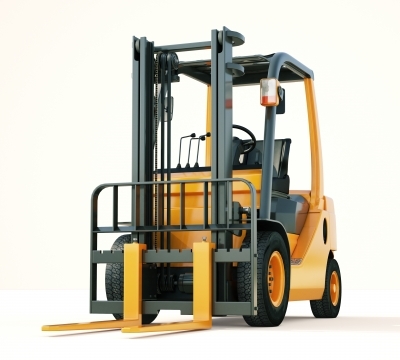 The human cost of forklift accidents can be life-changing injury or death. Placed in this context, you don’t want just the best forklift training for your company, you want the best forklift training program available. FLC, the leader in online OSHA compliant training, offers the best forklift training packages for you and your company. With FLC’s training courses, you’ll enjoy the best possible review of OSHA safety guidelines and regulations – and how they impact regular forklift driving duties. Train a Trainer – this is one of the best forklift training packages around. It helps experienced forklift drivers become Certified Forklift Safety Experts. With our Train a Trainer course, anyone can become a safety resource for other employees. Training Kit – one of our most popular OSHA compliant training kits, this course provides a great introduction for safe forklift operation. Bundle Package – if you can’t decide between the first two, go for the best forklift training course you’ll find anywhere: our value-added Bundle Package, which includes our Train a Trainer and Training Kit courses. Specialized curricula that cover the different types of warehouse forklifts (lpg, gasoline/diesel, electric). It will be relevant to order pickers and different kinds of pallet jacks (stock pickers, side loaders and high lift straddle). A section on handling a forklift on rough terrains. All FLC training packages provide comprehensive information, real-life applications, thorough review of OSHA guidelines, and much more. If you’re ready to experience the best forklift training courses, get started with FLC today! For any questions about the best forklift training programs you’ll find anywhere, give us a call at (888) 278-8896. The best forklift training package will be easily accessible 24 hours a day, seven days a week, anywhere in the world where the trainee has access to a computer and an Internet connection. The best forklift certification plan will not intrude on the work schedule or disrupt production timetables. The best forklift training kit will be self-paced. The best forklift certification approach will not involve outsourcing an expensive consultant or booking a function room with associated tea, coffee, cookies and luncheon expenses. The best forklift certification set-up will not involve sending trainees off premises, and off the job, to access the training. OSHA and the best forklift training kit – The best forklift training kits will come with free OSHA updates. From time to time, OSHA forklift training requirements will be updated as new data becomes available concerning accident rates and their associated causes. You need to receive this information as soon as it becomes available so that you can amend your forklift training program accordingly should the changes have an impact on your company’s forklift practices. To provide consistency in forklift training, you will want to set up one of your most experienced forklift operators as your company’s in-house designated trainer. Your trainer will administer and facilitate the best forklift training kits and serve as the in-house evaluator for the practical aspects of OSHA forklift certification training. The individual you select for this role need not have experience handling every type of forklift on the planet, but he or she should be very knowledgeable about the equipment used in your workplace or at your jobs. Expert knowledge of the unique characteristics of your warehouse or the typical terrain where your forklifts operate is also essential. He or she will know every crack in your shop floor, every slope, every tight corner. Your trainer should be familiar with the type of loads your operators will be expected to handle, from toilet paper and beer bottles to 10-tonne mainframe computers. The best forklift trainer will be computer literate, have good people skills and have the initiative and imagination to gather the right media (films, slides, videos, etc) to produce the best forklift training program for your specific workplace. In short, the best forklift training course will come from FLC – we’ve helped many companies and individual employees become OSHA compliant. In addition to making your life easier by managing your forklift training program, your best forklift trainer will earn the respect of his or her colleagues and a great addition to a resume. To sign up with the best forklift training today, give FLC a call at (888) 278-8896, or get started today. Thanks for considering FLC for all of your OSHA forklift training needs.